HairLab hair thickening fibres are very easy to apply but the study behind the electrostatic charges, which bind the fibres to hair, is a very complex one. Overly statically charged fibres can make the hair appear frizzy. Our outstanding results focus on getting just the right charge for the dispensing of the fibres – allowing for a lasting, natural look. Discovered, through this research, that different fragments of hair can be both negative and positive. This means that similarly fibres can be either negative or positive in order to bind with the hair. Using this theory HairLab created fibres that focus on the strength of the charge to give the perfect static balance when applied to your hair. 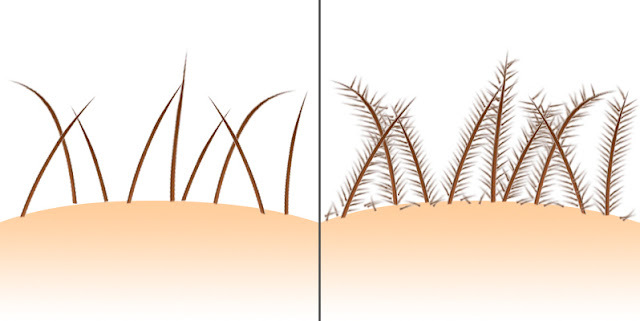 HairLab fibres are made of organic keratin. They've spent time in sourcing the right compound of wool and keratin to match human hair in order to obtain the correct blend for their fibres. This blend combined with the strong static charge gives HairLab Fibres a superior binding effect when applied to hair. These fibres don't make your hair frizz, and blend perfectly with your natural head of hair - they're virtually undetectable. The performance of these fibres are extremely important. Quite often fibres can simply just fall flat on to the head and not stick to your existing hair. With HairLab fibres the correct charge strength creates a resistance that enables the fibres to fall on to your hair with a branched effect giving a much thicker look. This strong charge in these fibres also gives a more secure bind to your hair enabling a long lasting effect as you go about your day. The use of other materials such as silk, cotton or nylon just doesn't give a natural look. 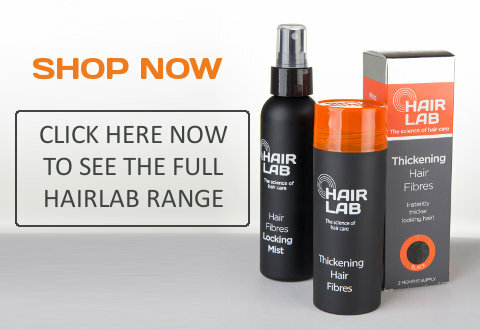 Your hair is made from keratin, so that's what HairLab have chosen. This is to ensure that your hair not only looks right but will also feel right when applied - these fibres look like real hair. Getting the right colour match and blend using quality dyes is very important. These fibres don't run - you can wear them in the rain or when you're training and sweating in the gym. 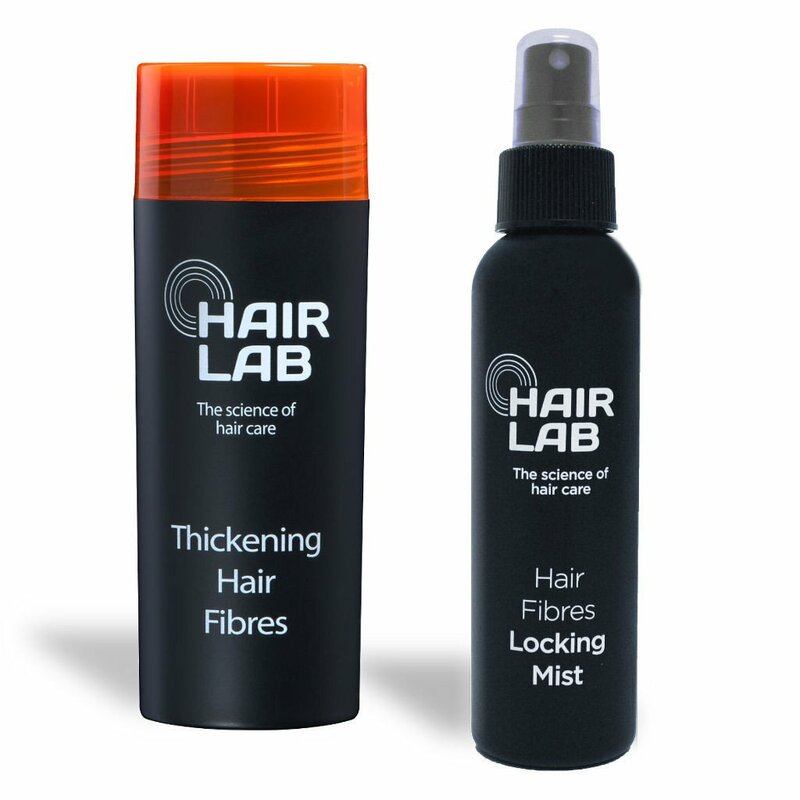 This unique colour blend and locking mist allows you to wear HairLab Fibres with real confidence.